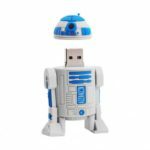 This Cartoon USB Flash Drive features Star Wars BB-8 Robot cartoon design, makes your USB Flash Drive so unique. Supports hot swapping, quite easy and convenient. With high-speed USB 2.0 port, allow for fast data transferring. 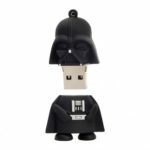 You&apos;ll love this unique Star Wars BB-8 Robot cartoon USB flash drive. 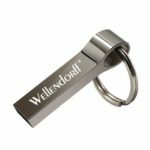 Exquisite, cute and popular, makes your USB Flash Drive so unique and different from others. Allow for fast data transferring. USB bus-powered, no drive required, very easy to use.